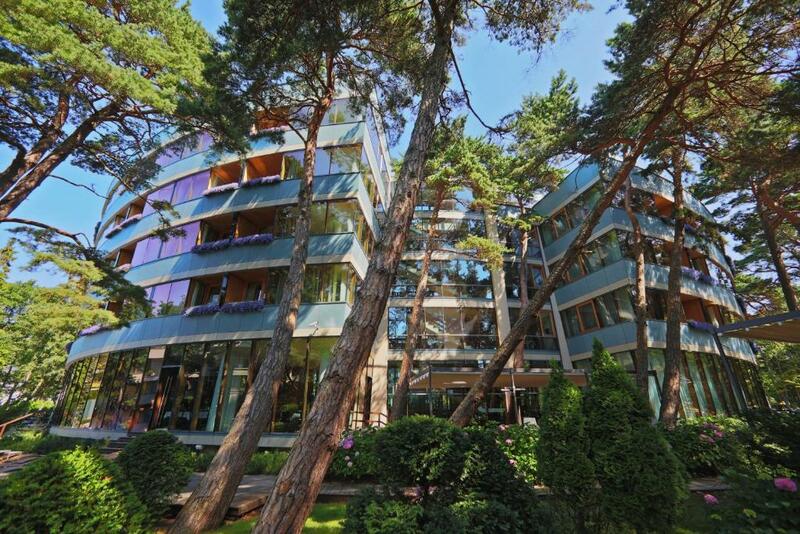 Lock in a great price for Palanga SPA Life Balance Hotel – rated 9.4 by recent guests! Excellent location, clean rooms, very good breakfast, fantastic bathhouse and the ritual. But still i think the price for night is very high. Great facilities and amazing spa. It’s very clean and very cozy hotel with great breakfast. The staff is welcoming and very accommodating. Must visit in cold weather: you will find a lot to do inside of the hotel. Must to try is a spiralina procedure - it’s a star of every visit. Best regards to Renata who is a true professional. 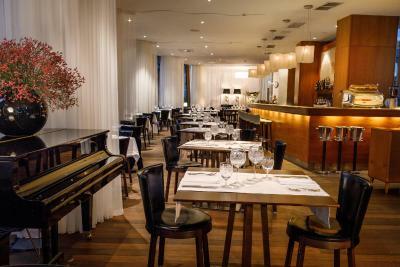 The restaurant is another gem with high quality of food and reasonable prices. Hotel staff was super friendly and did everything to accommodate our needs to the fullest. We got an early check in, and a late check out, the SPA treatments were extremely professional and pleasant, overall great stay! Must say probably one of the best in Palanga! Interior is simply gorgeous! Staff is super friendly, it has even a specific scent in rooms! Great experience. Perfect location. Very good spa and restaurant . 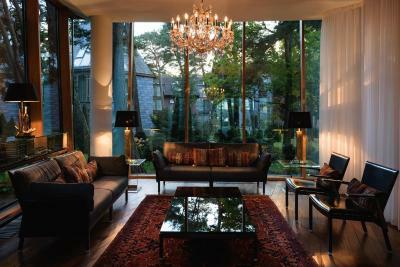 Beautiful lobby and rooms, with designer furniture and artworks. 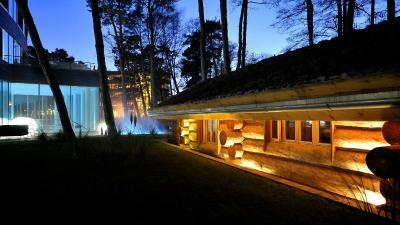 Amazing SPA with inside and outside swimming pools. Friendly staff. Great restaurant. Room was nice and clean. Staff was polite. Hotel it self is beautiful. Breakfast was good and delicious, except pancakes. Very nice spa, plenty of rooms and good place to relax. We had a great stay in Hotel Spa Palanga. We liked everything: room (deluxe double) with a view, perfect Spa area, perfect breakfast. The staff was friendly and helpful. Thank you for birthday wishes! The price is high, but it is the best hotel in Palanga! Palanga SPA Life Balance Hotel This rating is a reflection of how the property compares to the industry standard when it comes to price, facilities and services available. It's based on a self-evaluation by the property. Use this rating to help choose your stay! 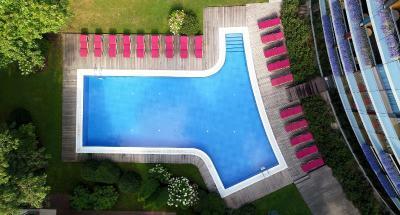 Located just 150 feet from the Baltic Sea, this family-owned 5-star hotel offers a luxurious spa center and water treatments. The Palanga Spa Life Balance Hotel was awarded the Best SPA Hotel in Eastern Europe in the World Spa and Wellness Awards 2018, the most innovative European SPA Hotel at ESPA awards 2018 and the Perfect Wellness Hotel by Perfect SPA 2018 awards. Guests can choose their accommodations from 74 rooms which are different in categories and located in two different buildings: elegant Luxury building and hype and modern Design building, which is the only hotel in the world that has by 7 degrees deviated floorings. Both buildings have a lounge area with a fireplace. Luxury building has stylish interiors and elegant rooms. 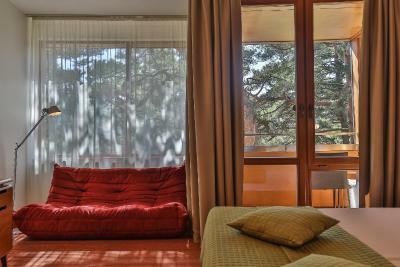 All rooms are bright and decorated with teak-wooden furniture and Brazilian walnut doors and floors. Each room has a balcony and is equipped with free Wi-Fi, air conditioning, mini-bar, flat-screen TV. All rooms at Design building are spacious and have a private balcony. Every room is equipped with free Wi-Fi, air conditioning, mini-bar, flat-screen TV. 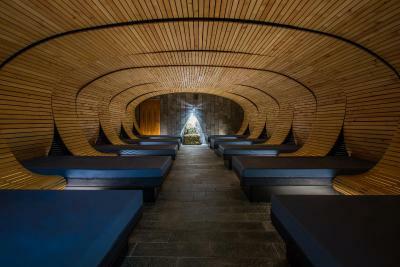 Located in the Design building, wellness center features of four different types of baths, including sauna, steam bath, laconium and outdoor wooden Kelo log bathhouse. 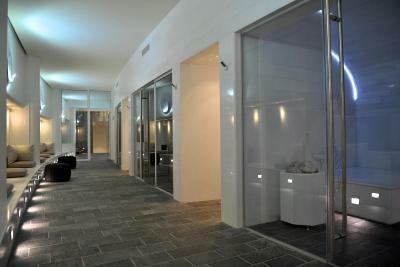 There are several swimming pools – indoor swimming, indoor hot tub, Roman pool and outdoor hot tub. All pools use mineral water which is extracted from own mineral water bore. 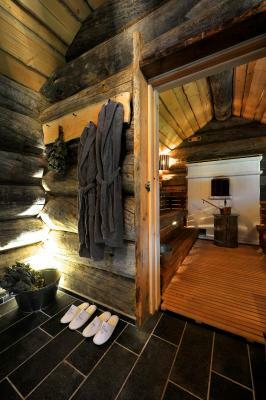 Guests can relax in larch therapy room with waterbeds. Gym is available free of charge. 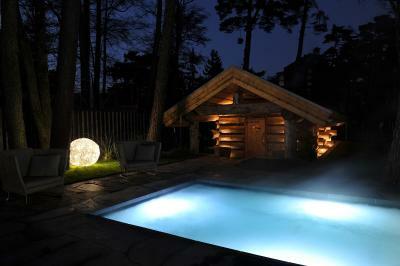 There is also an outdoor swimming pool with pre-heated water available in the summertime. Guests can choose from a wide range of beauty and medical treatments as well as individual programs available upon request. 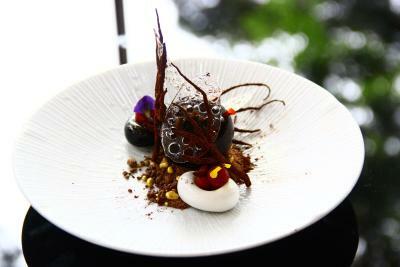 Rich breakfast and modern European dishes are served at the restaurant located in the Luxury building. 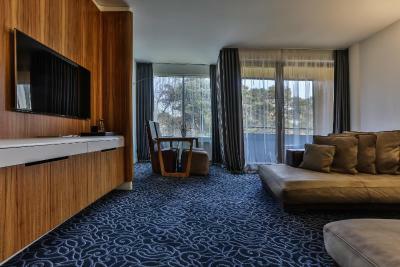 There is also a bar to enjoy snacks and drinks, and a lounge room with a fireplace and views of the surrounding park. 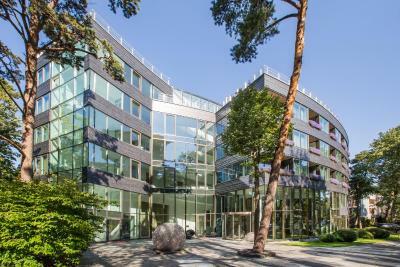 The Palanga Spa Life Balance Hotel is located at Birute Avenue, just 500 feet away from the Botanical Gardens and the Amber Museum. The popular Basanavičius promenade is only 1,950 feet away. 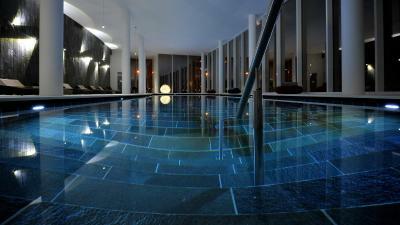 When would you like to stay at Palanga SPA Life Balance Hotel? Room with modern decor, a spacious bathroom and a TV. This larger room includes a sitting area with a sofa. This elegant and spacious apartment includes a bedroom and a living room with sitting area and dining table. 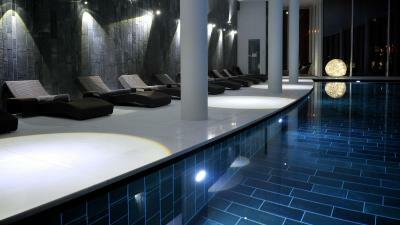 Palanga SPA Design is located 50 meters away from the Baltic Sea shore. 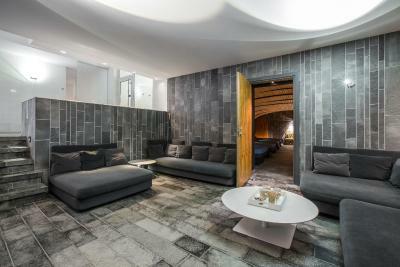 Hotel offers unique and leaving nobody indifferent atmosphere combined with contemporary and tailor-made design. 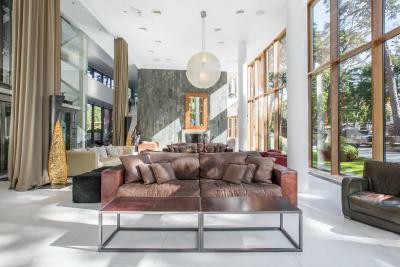 7-degree angle deviated floorings, exceptional attention to natural materials, genuine furnishings make hotel Palanga SPA Design a place to be. Each room is fitted with the latest technologies and amenities making it guests’ stay an agreeable and cozy one. Pride of the hotel – 1800 m2 SPA and Balneotherapy complex – modern healthcare and wellness facilities offering indoor swimming pool with mineral water, indoor and outdoor Jacuzzis, Roman pool, steam bath, laconium, outdoor Kelo sauna, ice room and gym. Access to these facilities is included in the room rate. A vast variety of all types body and facial treatments, massages as well as beauty rituals are available for guests’ convenience at an additional charge. Hotel guests are more than welcome to seize the day and enjoy a drink in a trendy lobby bar. Modern European Cuisine and buffet breakfast are served in the restaurant of the sister hotel – Palanga SPA Luxury, situated a stone’s throw away. 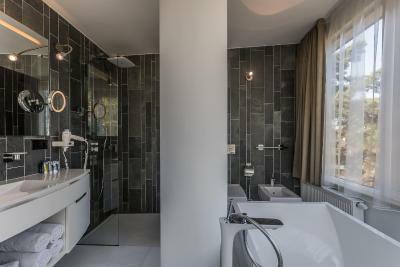 House Rules Palanga SPA Life Balance Hotel takes special requests – add in the next step! Palanga SPA Life Balance Hotel accepts these cards and reserves the right to temporarily hold an amount prior to arrival. 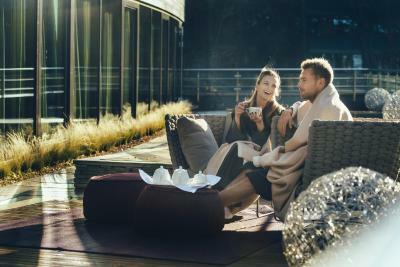 Guests staying at Palanga Spa Life Balance Hotel receive a complimentary access to the Bath and Balneotherapy Complex and Fitness Room every day from 8:00 to 22:00, except Tuesdays from 17:00 to 22:00. Swimming pool at the next building, should pass the yard. Location, spa possibility, friendly staff. Noisy ventilationat in the room during the night time. 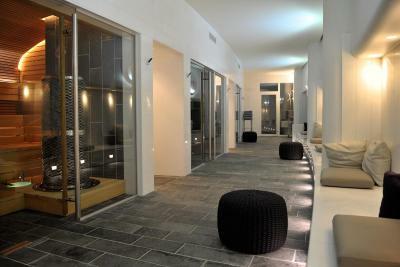 Very comfortable family flat, the best spa with the natural mineral water, warm pool and fresh tea. Tasty breakfast. 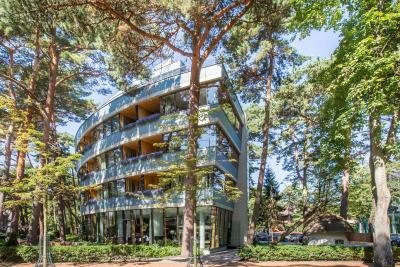 A perfect hotel in Palanga. 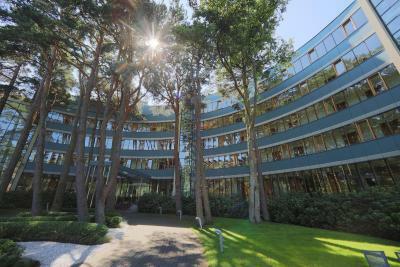 Great location, facilities, spa, breakfast. The price is worth it! Special thanks to caring hotel staff - we left some of our belongings in the room after the check-out, after two days our belongings we delivered to Vilnius. Excellent service! Ačiū, sugrįšime dar. spa center was ok (not all staff was complaisant unfortunately, especially young girl, who changed towels, looked like in torture and was even angry), the locking system broke up and people couldn't take their things out or in, but there were really clean. I liked the room (especially the view, its' size, there were all the facilities needed, etc. ), restaurant (nice breakfast (especially sunny side eggs and benedict eggs, friendly and helpful staff), spa center was ok. Also the place of the hotel is perfect, because you can reach the sea and the park easily. Everything was excellent - room, spa, breakfast, staff. During out stay in the hotel, there were couple issues: smelly towels, hotel bar didin’t have any cocktails, only strong alcohol. In general stay was pleasant. But in weekends spa should work longer hours. Breakfast could be served longer period of time. 22 eur for a glass of cheap champagne. Kempinski charge 25 for a glass of billecart salmon rose. You charge 22 for veuve? Unreasonable. In Palanga. It could be a little bit warmer in spa zone.. Perfect spa zone, relaxing atmosphere, tasty breakfast. And thank you for the birthday surprise !